A neighbor gave us this delicious salsa dip last week. 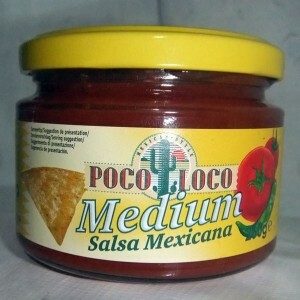 I’ll attempt making my own salsa one of these days. Mix the chopped tomatoes, diced onions, chopped Serrano chilies and chopped cilantro in a bowl. Add the salt and lime juice and stir it in until it is spread through your mixture evenly. Let the salsa chill in the refrigerator at least an hour before serving. This entry was posted in Healthy Snacks and tagged salsa, salsa dip, salsa dip recipe, salsa ingredients on October 19, 2011 by Yami. Thanks for this post. It has make me feel like cooking something new tomorrow! My family just love salsa.